Tim J. Larson, J.D., P.A. "Our goal is to create relationships that are based on an understanding that we care and we listen in order to understand the needs of our clients." Attorneys Tim J. Larson and Logan M. Brown provide assistance to individuals and families that need to "get their affairs in order." In addition to understanding Medicaid eligibility issues, they have a practice that is devoted to helping people plan for the possibility of incapacity and properly plan for family members who may have special needs. 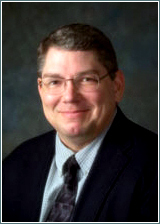 Tim Larson has over 25 years experience in estate planning and elder law related matters. Tim Larson is an accredited attorney with the Veterans Administration and is authorized by the V.A. to represent clients regarding veteran's benefits. The Kansas Care Planning Council is dedicated to helping families recognize the need for long term care planning and to helping implement that planning.